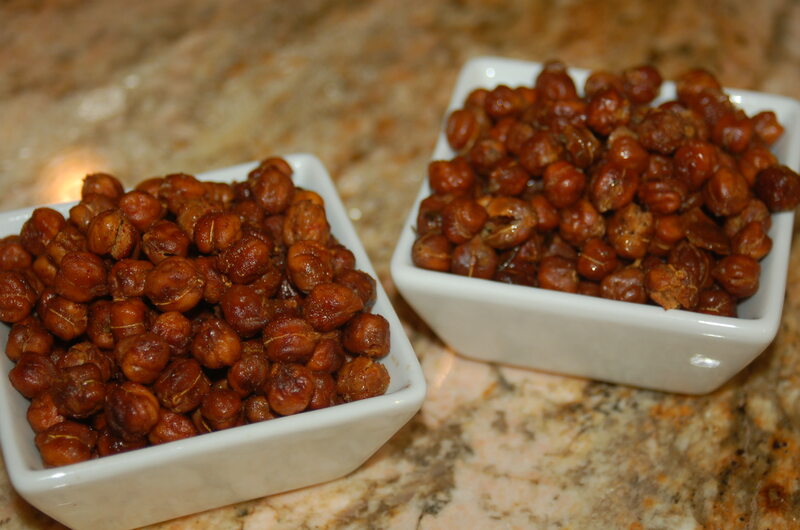 Rinse and drain chickpeas and spread on paper towels. Remove any loose skin. With another paper towel, pat to dry and air dry for 1 additional hour. 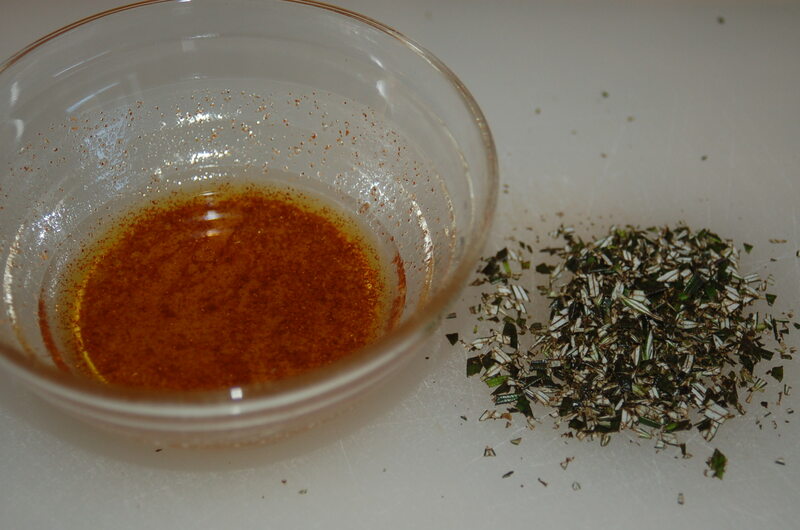 Chickpeas should be dry before baking. 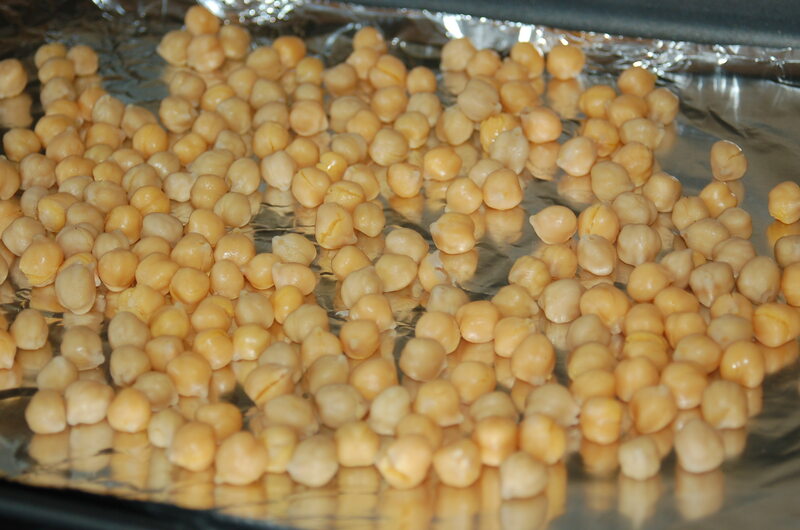 Line baking sheet with aluminum foil and bake chickpeas for 30 minutes, turning after 15 minutes. In medium mixing bowl, mix all remaining ingredients. Add hot chickpeas to bowl and coat evenly. Lower the oven temperature to 325F. 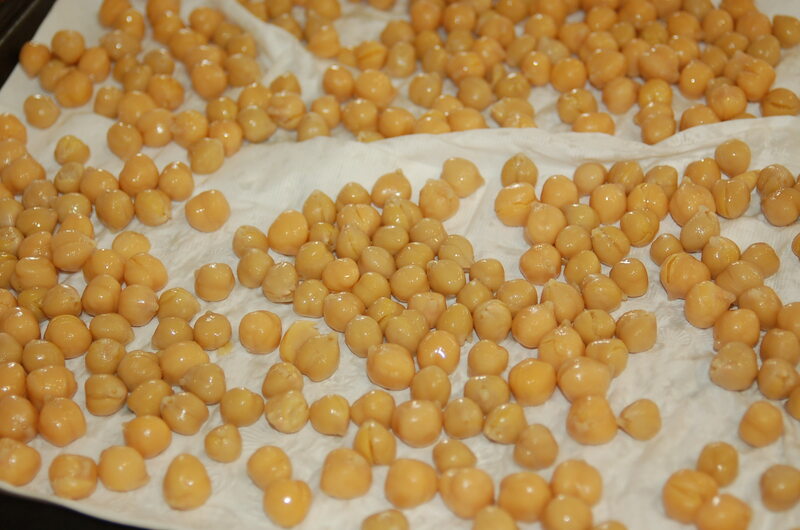 Return chickpeas to aluminum lined baking sheet and bake for additional 60 minutes, turning every 15 minutes. The chickpeas are done when they are firm and crunchy which may require more or less baking time. Allow to cool and enjoy.